Woah! A busy few weeks for me! 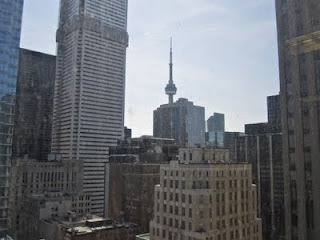 I'm adjusting to my new lifestyle: public servant, commuter, financial district dweller, renter of a place larger than a bachelor apartment, long-distance house-sitter. I'm working to set-up my new apartment. 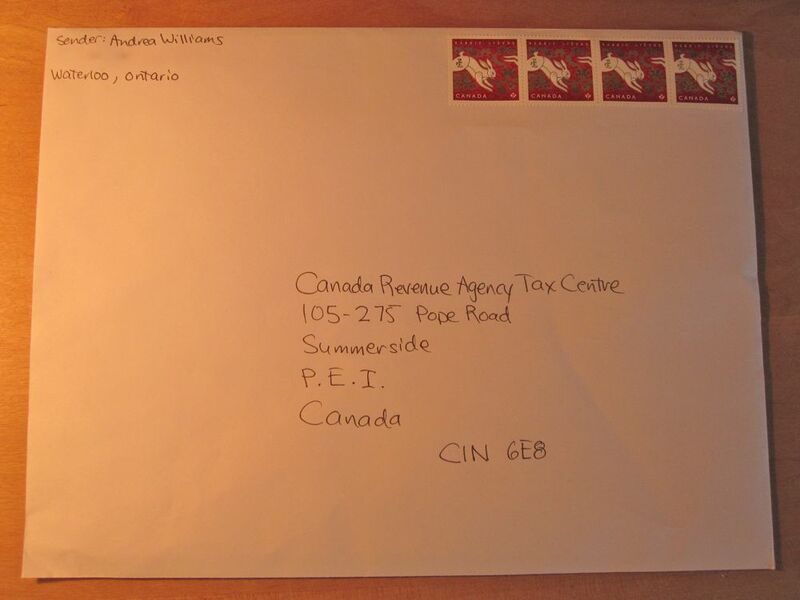 I like the place even if the address isn't ideal. Here's the vintage fireplace in my bedroom, accented with a new mirror and Australian native flowers. 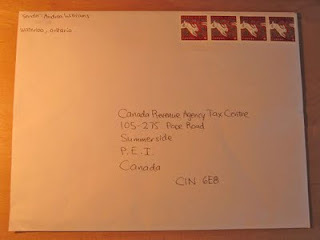 Tax return, please be processed soon! I haven't earned a wage since August! 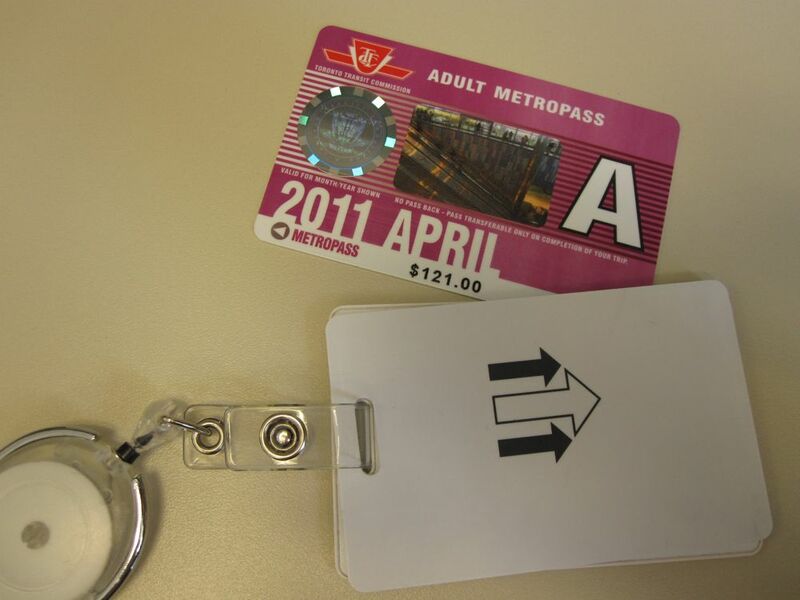 It's my first time to have either of these things: a TTC Metropass and an office key card. View from my new work space. If I look to the east, I can see the lake just a little bit. Almost 17 years after I got my driver's license, I have had my first damage incident. The parking space behind the new apartment is a little too narrow for dad's Jeep. 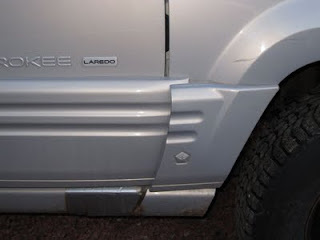 The side panels got pushed forward by the friction with a wooden fence that I got caught on. Until a professional gets at this with a mallet, the front passenger door won't be opening. Good thing it's a '97 model vehicle with plenty of other dents and scratches. Hey lady! I've been waiting for an update on your new place! Why isn't the location up to snuff? 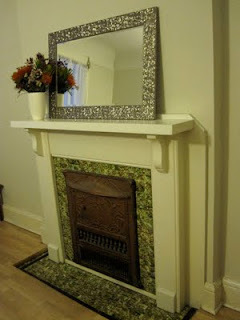 Love that old fireplace. I have 2 in my apartment of the same style!